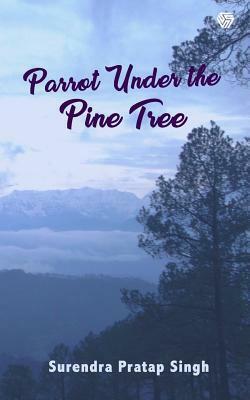 Parrot under the Pine Tree is the powerful expression of love. In the girl’s heart; it’s subtle, sublime and eternal. But in the boy’s heart; it’s earthy, insecure and restless. The anxiety brings the two young hearts close. In the clean and tranquil environs of Kausani, Vedanta inadvertently meets Saranga under bizarre circumstances and both fall in love with each other. But Alas! Their happiness doesn’t last long. On one fateful night of temptation, the storm that blows up not only consumes his heart and soul, but also shreds that of Saranga into pieces. On insistence of her grandma Saranga agrees to give a second chance to a repentant Vedanta. But misgivings remain in her heart. Will Kausani rework the magic again between the estranged couple? The author starts this book quite poetically. As soon as you start reading, you are pulled into the beautiful world of Kausani. In fact, the best thing about this book was the narration. The author has managed to create excellent characters and put them in a beautiful setting. Not just the main characters, even the side characters are quite unforgettable. Since the book is narrated in third person POV, we had the opportunity to get to know each of the characters. We are even introduced to many character’s back stories that help us understand these characters in a much better manner. My only issue with the book was that since the protagonist is given an idea of what his future would hold, as a reader the rest of the story line became quite predictable. In addition to this, towards the end of the book, the sending of messages via clouds part made the story a bit unrealistic for me. In a way, it took away from the realism that was set before this scene. I feel this book would really appeal to those who yearn for romance and those who are in love with the hills. On the whole, I rate this book 3 out of 4 and look forward to other works by the author.